Actor Edward Norton was host on Saturday Night Live last night. One of the skits performed --- 12 Days Not A Slave --- was a parody of the critically-acclaimed movie on the story of Solomon Northup, a free black man kidnapped and enslaved for twelve years. What say You? Funny...not funny...too soon? (LAS VEGAS, NV) – The National Association for the Advancement of Colored People held its final Board of Directors meeting of 2013 this weekend in Las Vegas, Nevada. 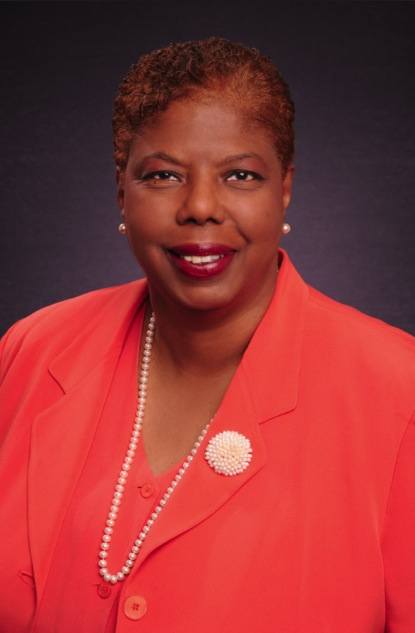 NAACP Chairman Roslyn M. Brock announced that National Board Member Lorraine C. Miller was named the Interim President and CEO of the 104-year-old organization while the search to select a new President and CEO begins. Miller is a commercial real estate broker with Keller Williams and sits on the Board of D.C. Vote. She served as the first African American clerk (and the first African American officer) of the U.S House of Representatives from 2007 to 2011, and previously worked for former House Speakers Nancy Pelosi, Tom Foley and Jim Wright, as well as U.S. Rep. John Lewis. She also worked in the Clinton White House, as Bureau Chief at the Federal Communications Commission and as Director of Congressional Relations for the Federal Trade Commission. Additionally, she worked at the American Federation of Teachers. She is a faithful member of the historic Shiloh Baptist Church in Washington, DC. Miller served as President of the Washington, DC NAACP Branch for six years, and as a member of the National NAACP Board of Directors since 2008. On the Board of Directors, she serves as a member of the Executive Committee and as Chair of the Advocacy and Policy Committee, and she played a significant role in the creation of the NAACP’s Game Changers. Miller will begin her role as Interim President and CEO and assume day-to-day responsibility for the Association on November 1st, according to the transition plan approved by the National Board of Directors. Jealous’ tenure with the Association will end officially on December 31. Since 2007-08, overall state funding for Grambling has gone from $31.6 million to $13.8 million. The school has attempted to bridge that gap by increasing tuition, but it has fallen short, and cuts have been made across the board. Grambling State University (GSU) is the latest HBCU to make national mainstream news recently. Most notably there was Howard University with its fiscal issues and forced resignation of President Ribeau and my alma mater, Florida A&M University and the aftermath of the hazing death of drum major Robert Champion. It goes without saying that all of the institutions mentioned are iconic in black society. Their rich histories of accomplishments in spite of tremendous challenges and ability to produce outstanding alumni are sources of pride for all HBCUs. The revolt of the Grambling football team and student protest should not be taken lightly. The Grambling football team’s actions, though ill-timed, are laudable and just might be the tipping point in motivating the activism needed in moving toward adequate state funding that has seen the University cut from $31.6 million to $13.8 million in since 2007-08. Changes in coaching staff (particularly the firing of Doug Williams), poor training facilities, insufficient food and long arduous travel by bus are some of the complaints by the football team. The sad reality is that most HBCUs find themselves in a financially fragile state. Dr. Pogue, GSU President, apologized to Jackson State University for the cancellation of the football game. It was JSU's Homecoming game. If you attended an HBCU, you know how big of a deal Homecoming is. The pageantry of the week of activities and reunion of friends is difficult to reduce to words. If you didn’t attend an HBCU but you did see the movie Drumline, halftime really is showtime and the bragging rights over which school has the best marching band is more passionate than the results of the football game. So, to ruin Jackson State’s homecoming game, was not the most effective action in seeking support for the demands of the GSU football team. It should be noted that 22 players did show up to board the buses for the JSU game and receiving a letter from University officials basically threatening revocation of their student-athlete scholarships. The GSU football team has successfully drawn attention to their plight. Prayerfully the school's administration will resolve this issue quickly. Anyone who knows the history of Grambling and college football can't help but think of Eddie Robinson, Grambling's legendary football coach, and how he would feel if he were alive today. Forfeiting a football game is one thing but saving one's history and legacy is another. In the meantime, Louisiana Gov. Bobby Jindal has made no secret of his desire to merge HBCUs with larger PWIs in the University of Louisiana System. Dwindling state fiscal resources, budget cuts and diversity will be used to convince taxpayers that merger is the wise move to make. Grambling and other HBCUs have to be marketed and managed differently. Ethnic pride and a rich legacy will no longer assure sufficient student enrollment numbers to support the existence of HBCUs.